Social media is more than a fad. It’s here to stay. 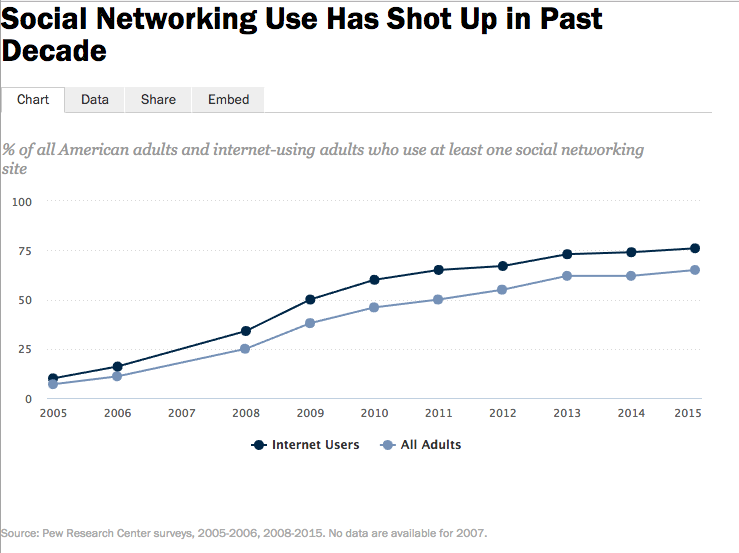 The Pew Research Center has done a study of social media usage that just ended in 2015 and the results are startling. 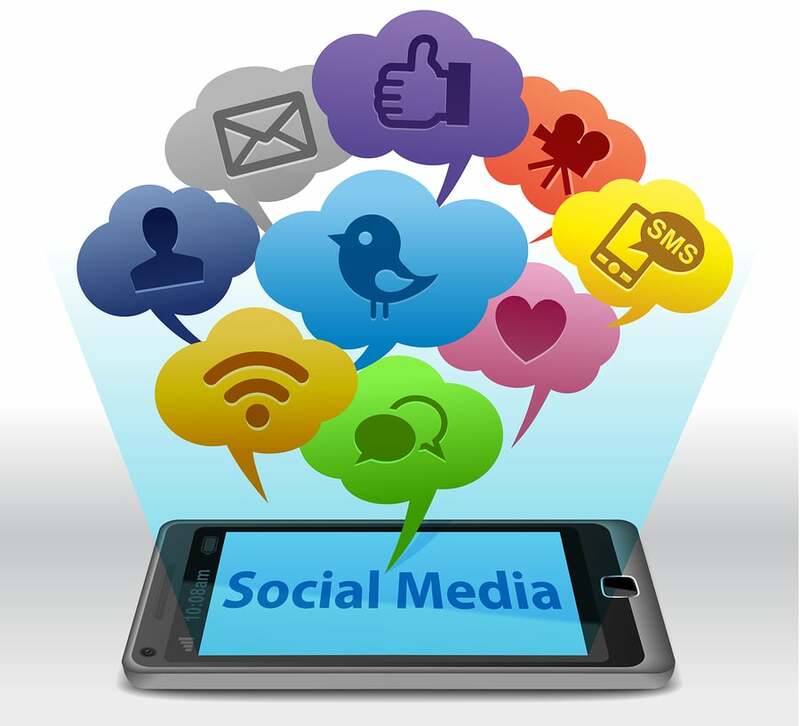 Sixty-five percent of adults are now using social networking sites. In our fractured world where smaller and smaller audiences are engaging with traditional content, you need an edge. Social media is that edge. Your business can’t be without it. Chances are, you’re wondering why your business needs to be in a place where people endlessly talk about politics, their kids and post picture after dizzying picture of what they had for dinner last night and the night before. The answer to that is more complex than just being relevant, although that is one of the reasons that you need to be there. To be seen as relevant among your target audiences, you need to be a part of their daily conversation. That means being in front of them, where they are, taking part in what they are doing. Social media is what people are spending time with on their phones. And if you doubt that people are turning more and more to the smartphone, Pew Research steps in to tell us that nearly two-thirds of Americans owned one as of 2015. And, as with any technology, the longer it’s around, the more people will adopt it. All of that lets you know that a large portion of that audience is ready at any moment to engage. Given numbers like that, you can see why social media is essential. And if you don’t see that way, your competition certainly does. That leads us to the other major reason that you need to be on social media and that would be the sheer size of the audience. Television audiences for the 4 major networks totaled around 30 million viewers in 2015. With the total population of the United States, according to the Census Bureau, coming in at close to 323 million as of the first of the year, we can note that those watching the networks work out to under 10 percent of the population. With all of those numbers, you can start to see why the audience for social media is one you want to be in front of. Since businesses are different, there is really no clear cut answer as to which channels you need to be on that work for everyone. Still, as you think about how to engage your customer and get them to become a loyal supporter of your business, you need to make sure that social media is a part of your mix of tools to drive traffic to your website and to your door. Leaving it out, in a world like ours, is a sure sign that your business will be left behind and left behind in a big way.